I've come to idolize the life of a squirrel. It's cold in the fall and winter, and all they do is gather food, eat, and sleep. I found myself following a similar system this past week. After grocery shopping for necessities like crackers and soup, I'd pretty much eat all day long and nap in between eating. But the best part is that the fatter squirrels get, people just think they look cuter. I think that's a mindset we should all start adopting. Instead of calling each other fat, we should just go around saying "aww, you got all cute!" Haha, I never thought of being a squirrel. But totes agree. The fatter they get the cuter they become. Love how you paired your red shorts! Hahahaha! I love your comment on becoming "cute" ;) Very clever! The hoodie with the beanie is adorable! Love this look - the shorts and boots are a fantastic combo! OK. I AM DYING over your squirrel comment. Seriously dying. haaaaa! Great look, I love the shorts! Just to let you know the link you left in your signature on my blog was dead! 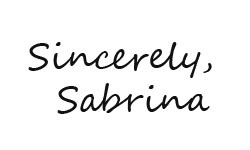 heyy sabrina... thank u for ur lovely comment on my blog! !